AGGRESSIVE ON PIPE BUILDUP - Perfect for drain care maintenance to break down years of sediment buildup. 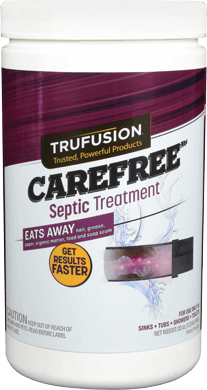 SEPTIC SAFE - Formula contains 100% non-pathogenic material making it a safe option for your household drains and septic systems. PREVENTS ODORS - Fresh scent to prevent foul odors. 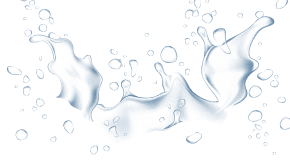 BIOLOGICALS + ENZYMES FORMULA - The premium blend eats away buildup due to hair, grease, paper, organic matter, food, and soap scum. MULTIPLE USES - The 64 oz. 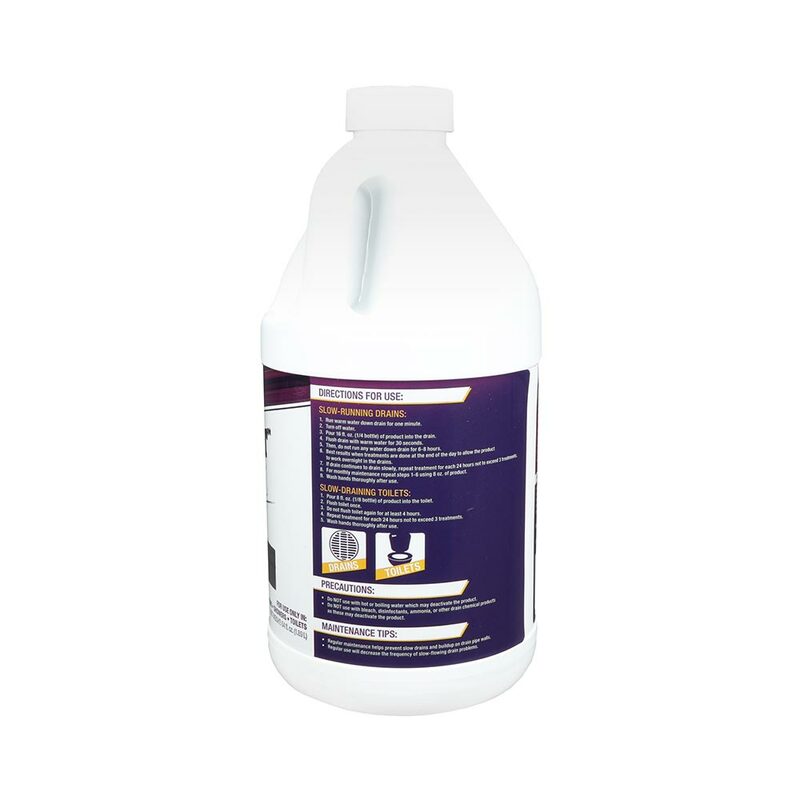 bottle contains 4 treatments, perfect for proper drain care maintenance against years of buildup. 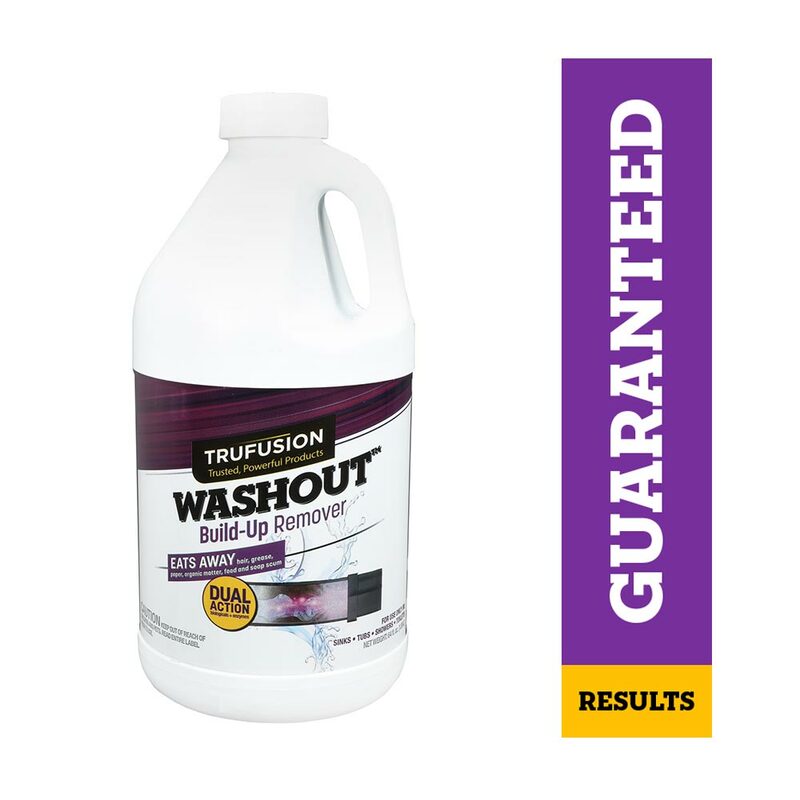 The TruFusion™ WASHOUT™ Build-Up Remover eats away hair, grease, paper, organic matter, food and soap scum with specially formulated dual-action biologicals and enzymes. The unique WASHOUT™ Build-Up Remover formula helps dissolve years of build up inside pipes while breaking through common buildup that causes slow-running drains and slow-draining toilets. 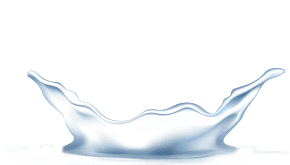 It’s safe for all pipes with 100% natural non-pathogenic bacteria and a safer alternative to harsh chemicals to sustain a healthy plumbing system. 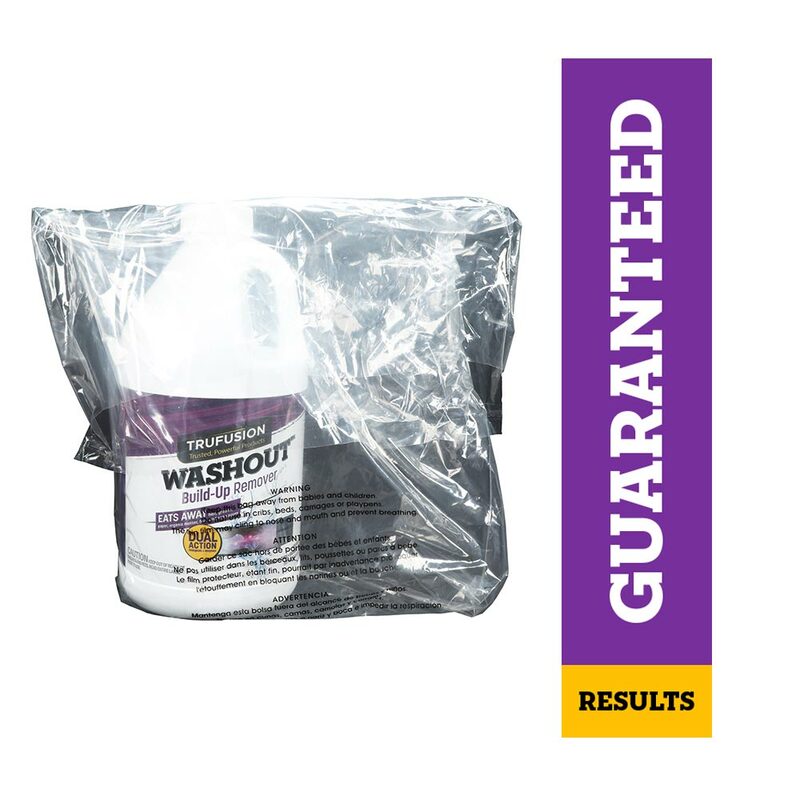 Use regularly for monthly maintenance to prevent slow drains and buildup on drain pipe walls to decrease the frequency of slow-flowing drain problems. 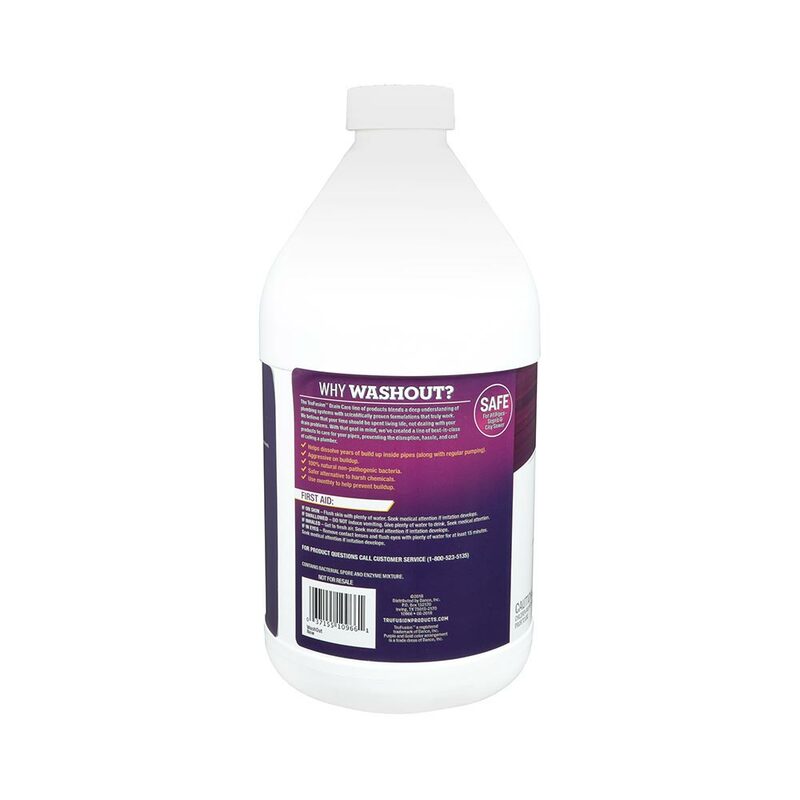 The product is safe for use in sinks, tubs, showers and toilets. Do not use with hot or boiling water, with bleach, disinfectants, ammonia, or other drain chemical products as these may deactivate the product. Pour 16 fl. oz. (1/4 bottle) of product into drain. Flush drain with warm water for 30 seconds. Then, do not run any water down drain for 6-8 hours. 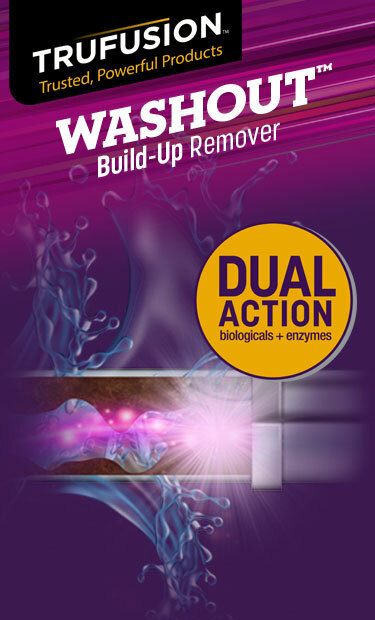 Best results when treatments are down at the end of the day to allow the product to work overnight in the drains. For monthly maintenance repeat steps 1-6 using 8 oz. of product. Pour 8 fl. oz. (1/8 bottle) of product into the toilet. Repeat treatment for each 24 hours, not to exceed 3 treatments.